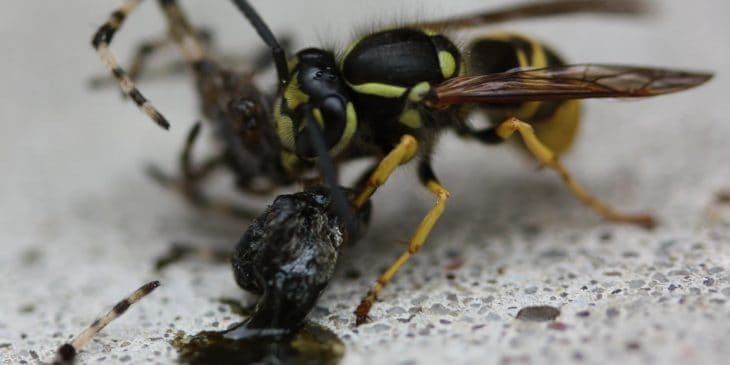 The diets of wasps vary greatly, so there are few hard-and-fast rules regarding what wasps eat. As a general rule, most wasps prefer to eat nectar, fruit, and insects, but many of them have been known to eat a lot more than these things. 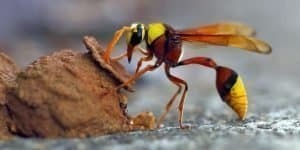 Both solitary and social wasps have their preferences when it comes to the foods they eat, and all wasps have diets that are more varied than many people realize. 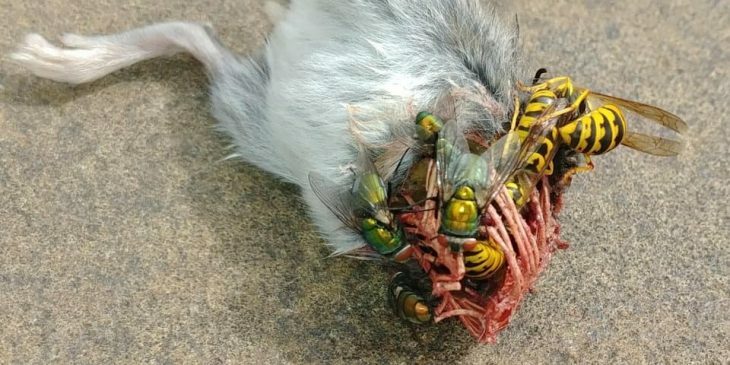 Wasps have diets that vary with each species; however, most wasps will feed their larvae bits of insects that they have killed and chopped up themselves. 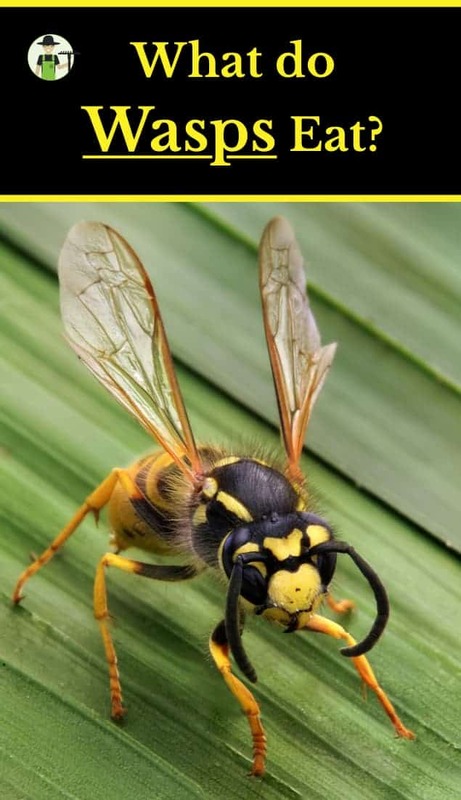 Adult wasps eat insects and other pests, as well as sugars from aphid honeydews or the sugars found in nectar. In addition, they often come out looking for the same types of food that humans eat, including fruit. Caterpillars: If a wasp sees a caterpillar, it stings and paralyzes it, then brings the caterpillar back to the nest and stuffs it into one of the combs of the nest. Afterwards, the queen will lay her eggs inside of the caterpillar and the baby wasps eat their way out. 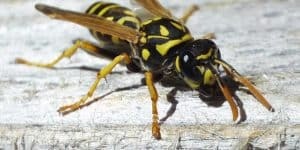 Meat: Some wasps, such as the yellow jacket, are known for eating insects, spiders, and even the same meats that humans eat. 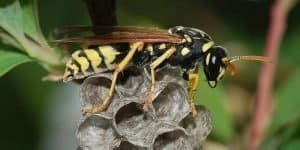 From the genera Vespula and Dolichovespula, yellow jackets are black and yellow, black and white, or even red in the background. 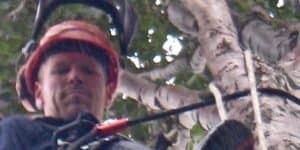 Some of their nests are underground, while others are exposed aerial nests. 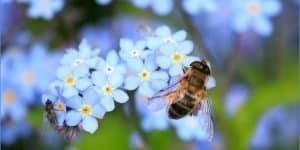 Miscellaneous foods: These include plants, nectar, honey, fruit, and insects such as flies, ants, and even bees. Spiders: Mud dauber wasps (Sceliphron caementarium) love to eat spiders. They will sting and paralyze the spider, then bring it back to their nests and let their larvae feed on it. Mud dauber wasps are usually black and yellow in color, and they build their nests mostly out of mud, hence their name. Wood: A species known as paper wasps (Polistes spp.) build their nests out of paper-like materials, so they eat and carry off wood and paper products to do so. With brown bodies and yellow markings, paper wasps have nests that are shaped like umbrellas and open at one end. 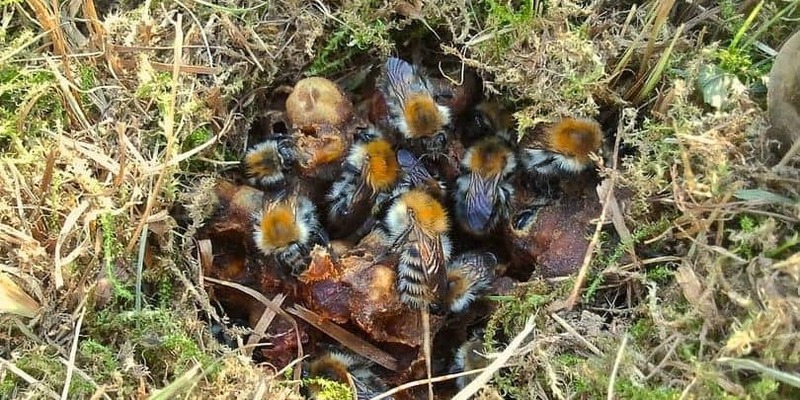 Badgers and hedgehogs: Badgers often try to get to the larvae inside of a wasp nest and in the process, they eat the wasps as well. Hedgehogs are successful at eating wasps because their protected skin is no match for the sting of a wasp and, therefore, it is easy for the hedgehogs to eat them. Bats: Roughly 70% of all bats are insectivores and will eat wasps. Birds: One of the birds that will eat wasps is the Summer Tanager, which eats both the wasp itself and the larvae. Other birds that eat wasps include grey catbirds, chickadees, house wrens, bluebirds, orioles, chipping sparrows, and warblers. Bullfrogs: These large frogs are found mostly in the eastern part of the United States and will eat almost anything they can catch, including wasps. 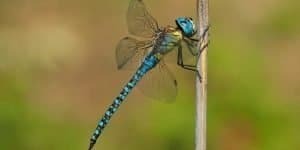 Dragonflies: These animals search around ponds, lakes, and wetlands to find their prey. They also eat ants, flies, bees, and mosquitoes, as well as the occasional butterfly. Lizards: Not just lizards, but also salamanders and iguanas, love eating wasps. 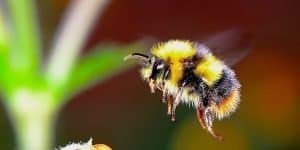 Most, in fact, are insectivores and prey on wasps. These animals are also found all over the world. Miscellaneous animals: These include the praying mantis, hoverflies, moths, and beetles. Red-footed cannibal fly: A type of robber fly, it is one of the few insects that will eat a wasp. 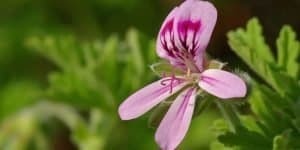 It is found mostly in the southeastern part of the United States and has a long stinger, long legs, and large eyes that are purplish in color. Spiders: Yes, wasps eat spiders, but spiders can also eat wasps. The yellow garden spider is a perfect example, and they catch the spiders via their webs. 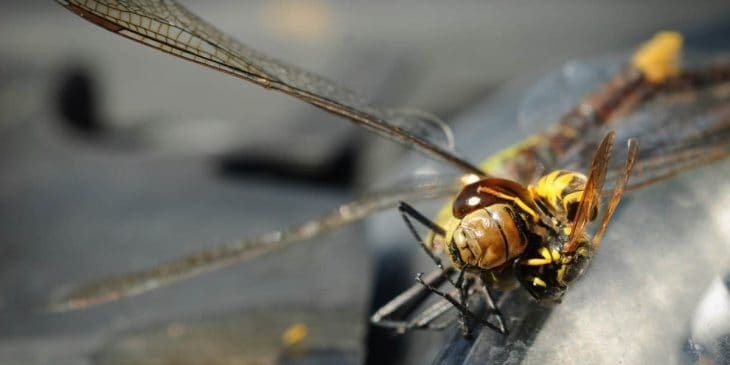 Is the dragonfly eating the wasp or the other way around? There are over 20,000 species of wasps so naturally, their diet is going to vary greatly from one species to another. Larval wasps typically eat only meat, because they have to rely on foods that are brought to them. Therefore, they normally eat insects such as beetles, spiders, flies, and many others. 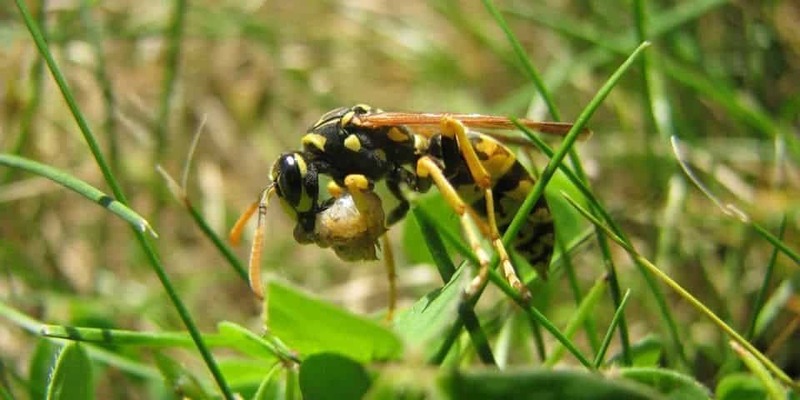 The adult wasps sting and paralyze the animals, then bring them back to the nests for the larvae to feed off of. 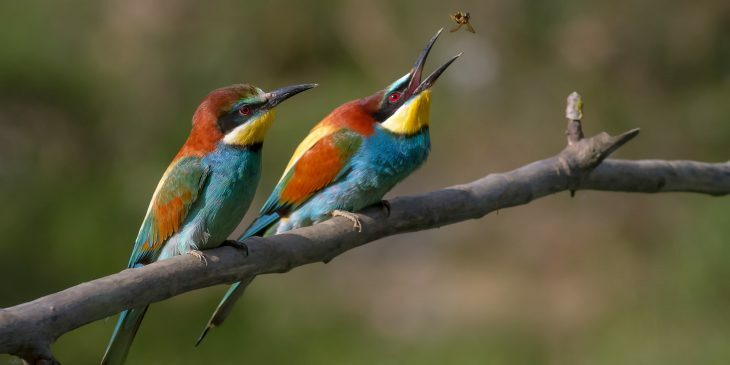 Larvae also feed off of regurgitated nectar brought back to the nest by the workers, and this nectar can come from honeydew, nectar from various plants, and even the juice from caterpillars. Often, the larval wasps actually feed the worker wasps when the workers lick a sugary liquid off the mouths of the larvae. Solitary wasps are a parasitic type of animal, which means they lay their eggs inside of other living insects. The larvae will feed within the insect and eventually kill it. Some of these wasps can also bring certain insects back to the nest and place those insects inside the wasp eggs. This way, the young can continuously emerge from the egg and will have food to eat. Sometimes, a wasp’s diet will change over time, with different foods being consumed at different ages. Since insects are easy to catch and eat, baby wasps typically choose this type of food. When they get to be adults, they usually prefer prey that they can sting, paralyze, and eat. 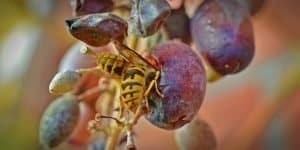 Adult wasps love nectar and fruits as well. There are some wasps who are very aggressive, and these types of wasps will actually drink the blood of the honey bee in some instances. 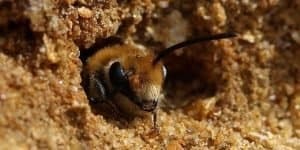 In fact, they are sometimes so aggressive that they will attack the nests of these bees and steal the honey inside of the nests. In addition, wasps can frequently be found eating human foods that are sweet, including jam, cakes, and pies.